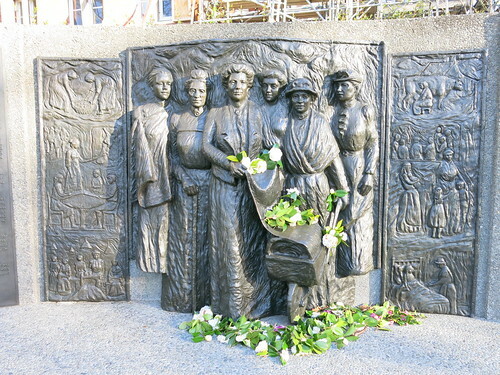 On 19 September 1893 women in New Zealand got the vote. Campaigners, led by Kate Sheppard, had fought for years for Māori and Pakeha women’s suffrage. The pretty dresses of the ladies and their smiling faces lighted up the polling booths most wonderfully, and one envied the returning officer and poll clerks whose duty it was to pass in review such a galaxy of beauty. At the Provincial Council Chamber some peculiar scenes took place. In one instance a man and his wife and daughter came to vote. The man first wished to go into the recess to instruct his wife how to vote. The poll clerks removed him. Then he went into where his daughter was recording her vote and wished to instruct her. This also he was prevented from doing much to his chagrin. We, the mothers of the present need to impress upon our children’s minds how the women of the past wrestled and fought, suffered and wept, prayed and believed, agonised and won for them the freedom they enjoy today. This feature was first published in our quarterly magazine, uncover – huraina. It is our newest channel to help you explore and celebrate the resources, content, events, programmes and people of Christchurch City Libraries, Ngā Kete Wānanga o Ōtautahi.